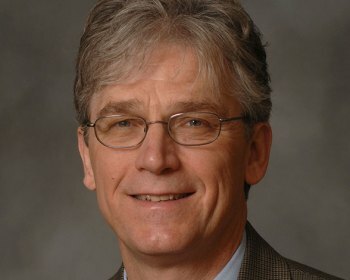 Following a decade as Marshall University’s top academic officer, Provost and Senior Vice President for Academic Affairs Gayle L. Ormiston has announced he will step down from his position at the end of the academic year and join the philosophy faculty in the university’s College of Liberal Arts. As provost since August 2008, Ormiston’s vision, strategic planning initiatives and leadership have raised the stature of Marshall’s academic portfolio and student support services. During his tenure, Ormiston oversaw a review process that led to the reaffirmation in 2015 of Marshall’s accredited status by the Higher Learning Commission (HLC). Under his leadership, Marshall was one of just 20 institutions the HLC selected to pilot a new accreditation process and to test a framework for defining what college degree recipients should know and be able to do at each degree level. From 2013 to 2016, as part of the Marshall2020 planning process, he led the faculty in a comprehensive review of Marshall’s degree offerings, which resulted in a number of recommendations about the structure of academic colleges, degree programs and majors. Under Ormiston’s direction, Marshall was one of the first four partners selected for the Educational Advisory Board’s Student Success Collaborative, providing the university with data and other tools to help students make smarter academic choices, and supporting retention and graduation success. He also instituted a series of “Campus Conversations” programs to give the university community opportunities to explore topics ranging from civil discourse to funding of public higher education. Marshall President Jerome A. Gilbert said he appreciates Ormiston’s dedication and long service to the university. Ormiston said he has seen higher education in West Virginia meet many challenges over the past 10 years and is proud to have been part of those successes. He continued, “I’ve had the pleasure of serving under three presidents at Marshall—the late Steve Kopp, Gary White and Jerry Gilbert. I greatly appreciate their individual confidence in the initiatives developed by the faculty to demonstrate the excellence of Marshall’s academic offerings. Ormiston has laid out an ambitious agenda for his final months as provost, including continuing to oversee the work of the university’s long-range strategic planning committee, working to restructure academic units for cost savings and laying the groundwork for the next phase of the HLC accreditation process. Gilbert said the university will conduct a national search for a new provost and is starting the necessary planning to ensure a smooth transition. Prior to his appointment at Marshall, Ormiston served for six years as associate provost for faculty affairs and curriculum at Kent State University. He was the chairman of Kent State’s Department of Philosophy from 1996 to 2002 and had held a full-time faculty appointment in philosophy—as tenure-track and then as tenured—since 1989. Prior to that, he was at the University of Colorado at Colorado Springs, where he held a tenured faculty appointment as associate professor of philosophy and several administrative appointments, including department chair and director of academic program review. From 1982 to 1984, he held a full-time faculty appointment as assistant professor of philosophy at Denison University. Ormiston earned his bachelor’s degree from Kent State in 1972, his master’s degree from Kent State in 1973 and his doctorate from Purdue University in 1981, all in philosophy.